As we were very excited about our impending safari, we rushed up to Minneriya National Park thinking we might get there late. 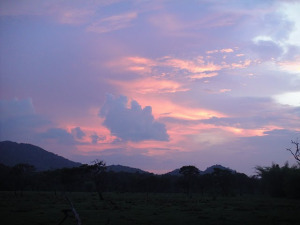 This natural reserve is located at the heart of the cultural triangle in Sri Lanka. As we reached, the chauffeur and the natural guide looked very laid back! “Don’t worry” they said, “we have plenty of time as 4PM is the best hour.” We were all standing with excitement in the open jeep: Go go go! 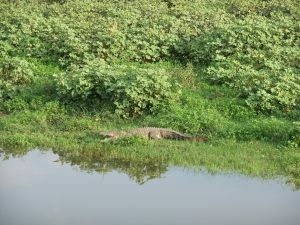 After passing the park entrance we immediately started spotting various kinds of animals. The naturalist guide turned out to be a great asset as his sharp eyes were experts in spotting animals in the wilderness surrounding us. Every time he spotted an animal, the jeep stopped to give us time to observe the rare sight of a wild animal in its natural habitat and take a snap. The Naturalist guide took the opportunity to give us few details and insights about each animal and its habits. As we got closer to the reservoir of Minneriya, we saw herds of elephants, buffaloes and many birds who had gathered to quench their thirst and take a long bath during the dry season. 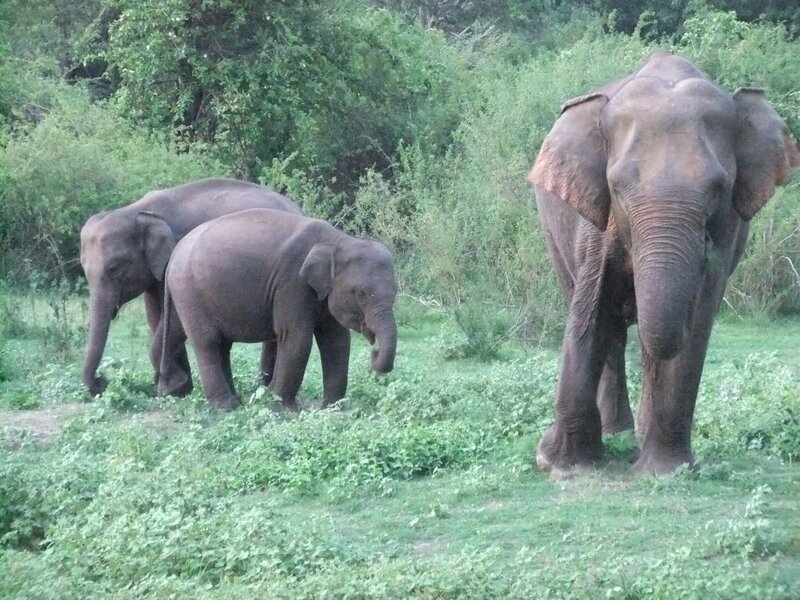 We spent 20 minutes enjoying the view of adult elephants along with their babies playing and eating. The mother of the bunch got irritated at our incessant staring and headed towards our jeep menacingly! The Naturalist guide burst out laughing as he witnessed our blind fear. He assured us that we need not worry. These incidents are part of the whole adventurous experience. In case you have a close encounter with wild elephants, the jeep’s engine is powerful enough to get you to a safer distance quickly, if need be. The sun has started setting already and the colors in the sky were turning warmer with traces of purple, pink and orange. We exited the park as happy as kids after this great experience. We now craved for our rice and curry at the hotel! Shanti Travel is an expert in tailor made travel to Sri Lanka. Contact us today to craft your adventure trip to Sri Lanka!